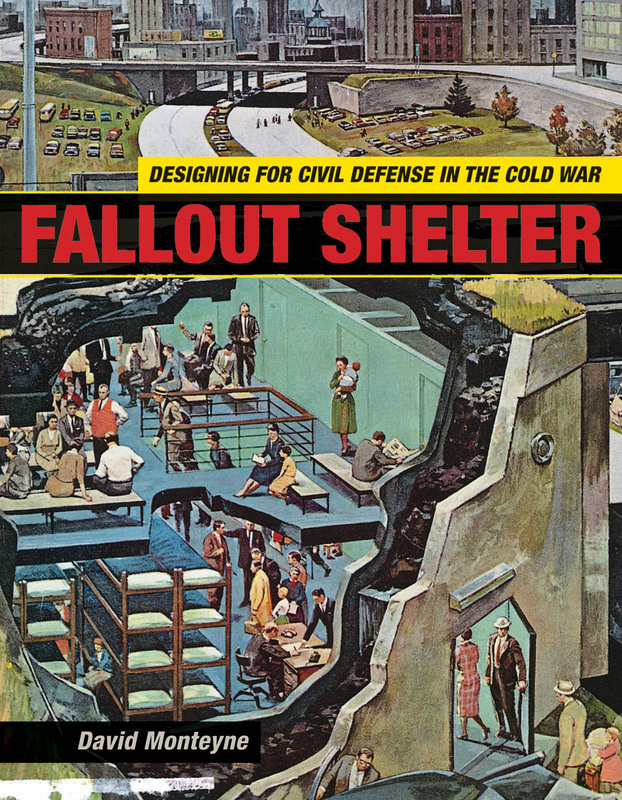 Cover of Fallout Shelter: Designing for Civil Defense in the Cold War. This study traces a developing partnership between architecture and government during the Cold War, when United States civil defense agencies formed mutually beneficial partnerships with professional architects. Civil defense relied on architects to demonstrate how plans for protecting citizens in the imagined aftermath of nuclear attack were based on the material realities of building construction and everyday spaces. By providing a foundation for civil defense, and by participating in planning for national security, architects aspired to expert status in the Cold War. The present research demonstrates that "architecture for civil defense" was a contested and often inconsistent cultural process. Ultimately, the partnership between architecture and civil defense produced a discourse around shelter and security that helped guide professional practice and influence how citizens interpreted the built environment. One result was a "bunker architecture," not so much an architectural style as a philosophy of building overtly concerned with threat and protection. David Monteyne teaches history and theory of architecture and urban design in the Faculty of Environmental Design at the University of Calgary, Canada. He holds a master's degree in architectural history from the University of British Columbia, and he completed his PhD in American studies at the University of Minnesota. In Spring 2009, he was a visiting scholar at the Canadian Centre for Architecture in Montreal. Monteyne has published articles in the Journal of Architectural Education, the Philosophical Forum, and other peer-reviewed journals. His book Fallout Shelter: Designing for Civil Defense in the Cold War, came out with the University of Minnesota Press in 2011.